Olfa Rotary Endurance Blade 45mm.Expertly honed blade for long-lasting cutting performance and durability. 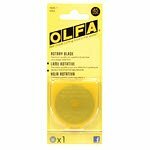 Quilters Select Rotary Blade 45mm.1 pack. Quilters Select Rotary Cutter by Alex Anderson. 45 mm. Magnetic blade replacement. Use with left or right hand with the push of a button. Ergonomic grip and handle. This Olfa 18mm Rotary Cutter easily cuts tight curves mini peices and intricate detail. Perfect for smaller projects. 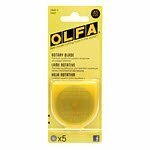 Olfa 45mm Ergonomic Rotary Cutter. Easily and comfortably cuts multiple layers. Self-retracting blade. 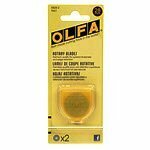 Olfa 45mm Quick Change Rotary Cutter. Easy blade change with just a single click and switch hands effortlessly. This 45mm rotary is by Olfa. It cuts easily multiple layers and easy blade replacement. 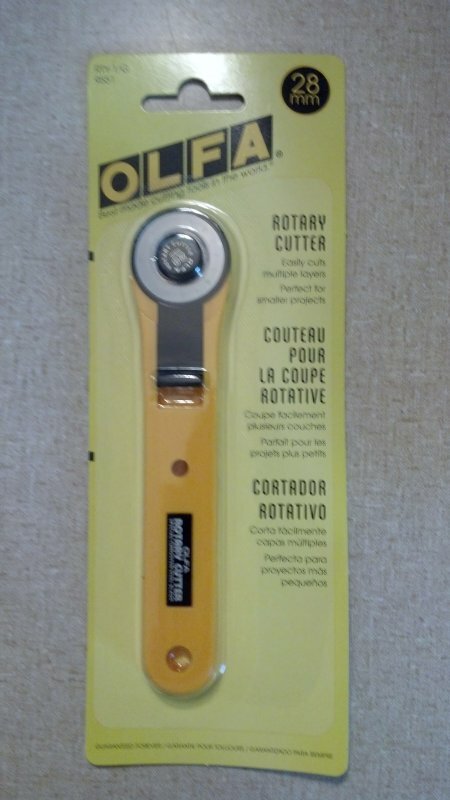 This rotary Cutter is by Olfa and is ergonomically correct. It is a 60mm size. Olfa 60mm Rotary Cutter. Easily cuts multiple layers.